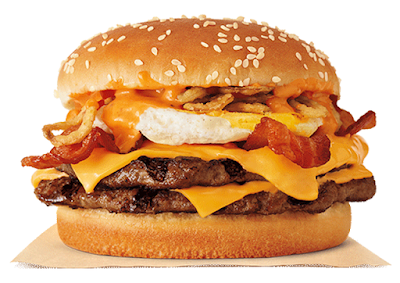 Burger King's Farmhouse King features two quarter-pound flame-grilled beef patties, thick-cut bacon, two slices of American cheese, crispy onions, ketchup, creamy "signature sauce," and a fried egg on a toasted sesame seed bun. 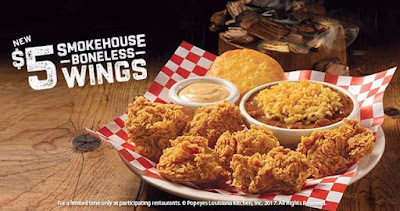 Popeyes' introduces new Smokehouse Boneless Wings which, according to the chain, include "real pecan smoked flavor in every bite." 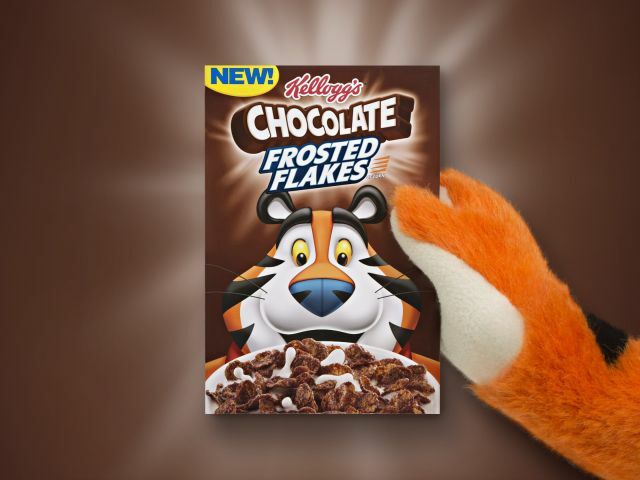 New Kellogg's Chocolate Frosted Flakes are slated to hit shelves nationwide starting in November 2017. 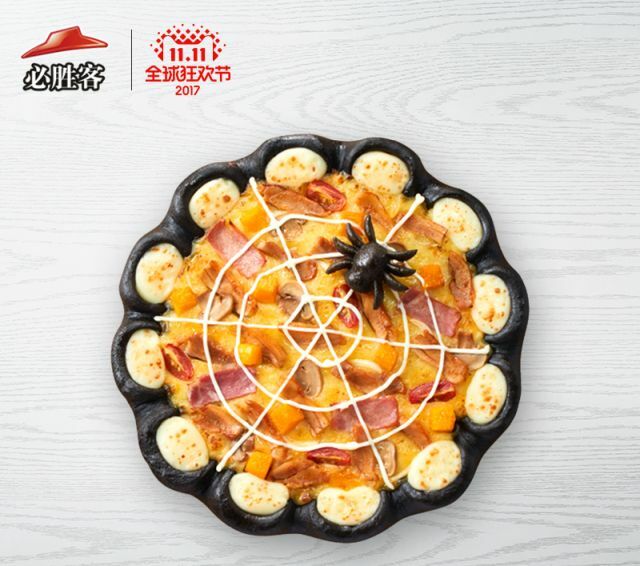 Pizza Hut China celebrates Halloween with a black crusted pizza that sports a cobweb design made of sweet mayo and, to complete the look, a baked black bread in the shape of a spider. 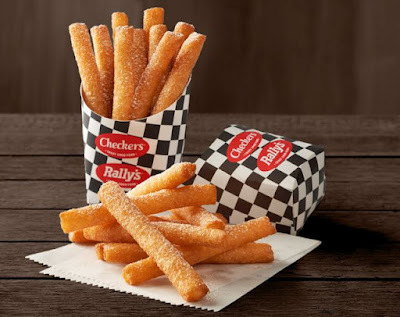 Checkers and Rally's add a bit of country fair food flavor with new, limited-time Funnel Cake Fries. 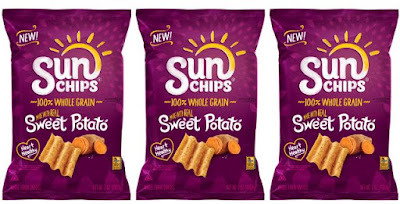 Buffalo Wing Cheez-It crackers are a Walmart-exclusive flavor of the cheesy baked snack crackers. Playing on the Dracula / Transylvania angle for Halloween, KFC Romania offers to save the world from vampires with their garlic sauce, which they're making available in several countries in limited quantities for the holiday. 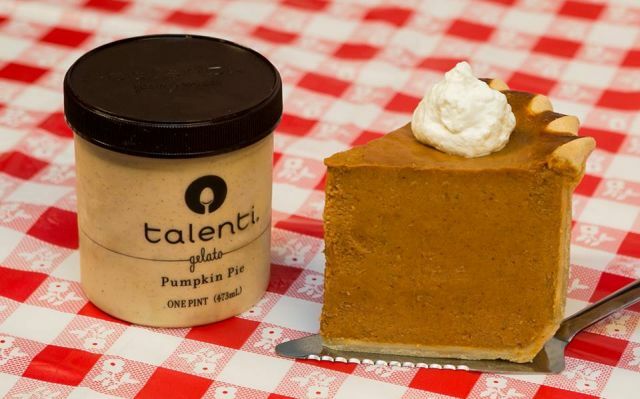 You can once again find Talenti's trio of seasonal holiday gelato flavors in the freezer aisle for your 2017 Thanksgiving / Christmas festivities. 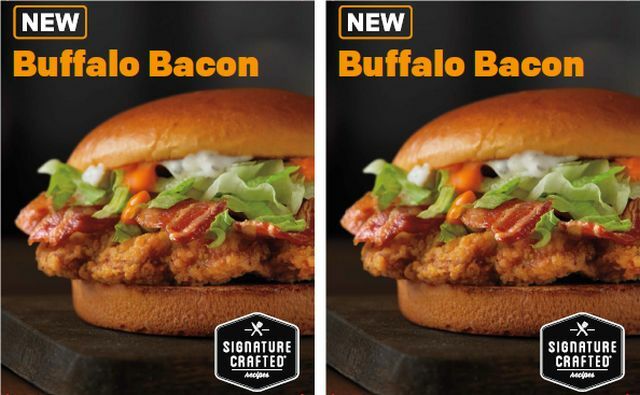 McDonald's has been spotted testing new Buffalo Bacon as a possible combination for their Signature Crafted Recipes menu. 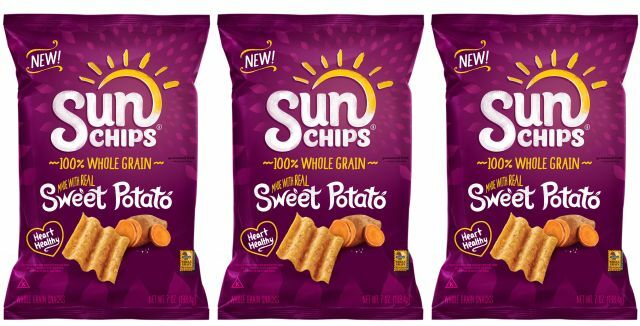 Frito-Lay rolls out two new snack flavors for this fall with the arrival of new Sweet Potato Sun Chips and Rosemary & Olive Oil Smartfood Delight Popcorn. 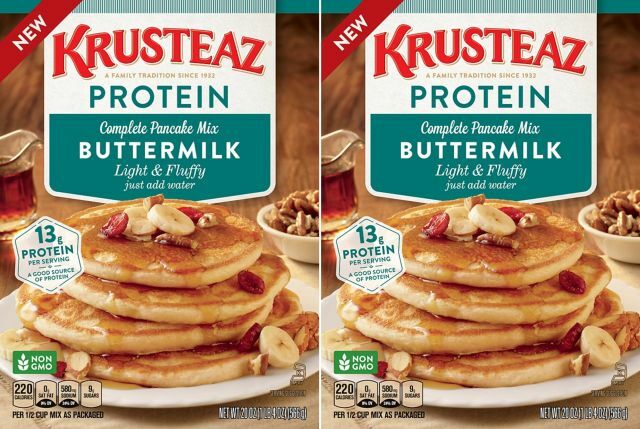 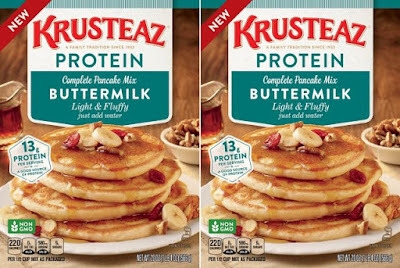 Catering to consumer demand for added protein to their diet, Krusteaz debuts new Buttermilk Protein Pancake Mix featuring 13 grams of protein per serving. 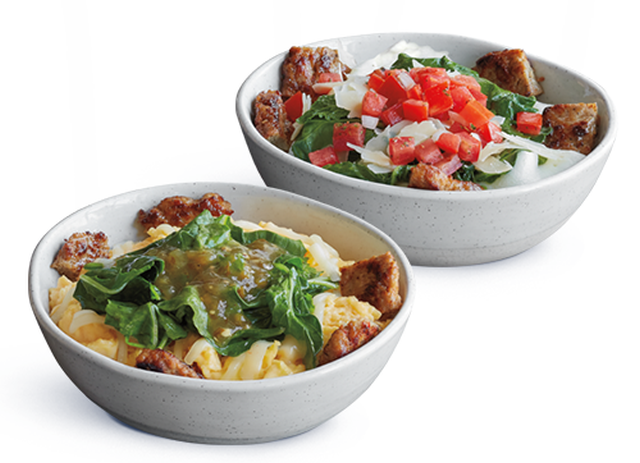 Devour's Pesto Ravioli with Spicy Italian Sausage frozen meal features ravioli filled with ricotta cheese in a basil pesto sauce topped with parmesan cheese and Italian sausage. 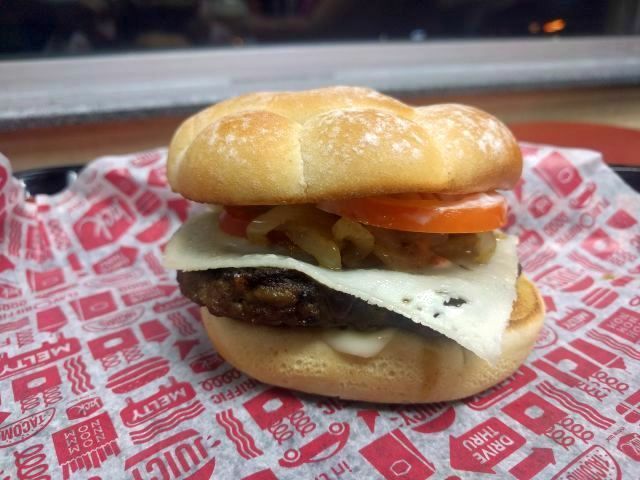 Red Robin launches the new Gourmet Burger Bar as the chain's build-your-own-burger catering option at participating restaurants nationwide. 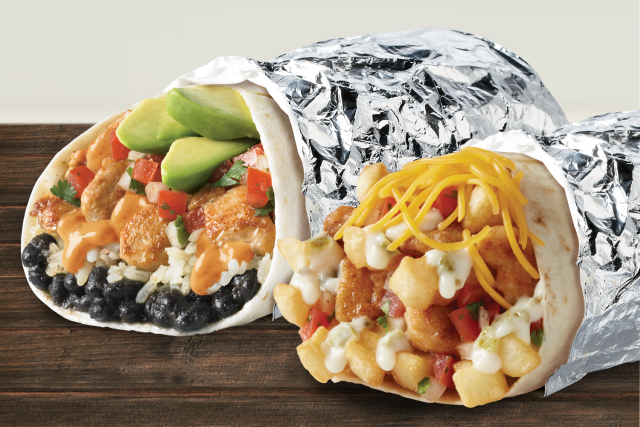 Del Taco expands their Epic Burrito selection with the arrival of two new Epic Burritos: the Epic Queso Chicken Burrito and the Epic Chipotle Avocado Burrito. 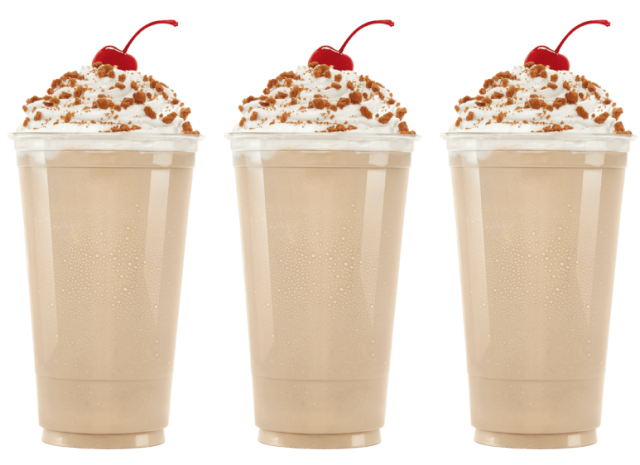 The Pumpkin Spice Shake is back at Jack in the Box for a limited time for fall 2017. 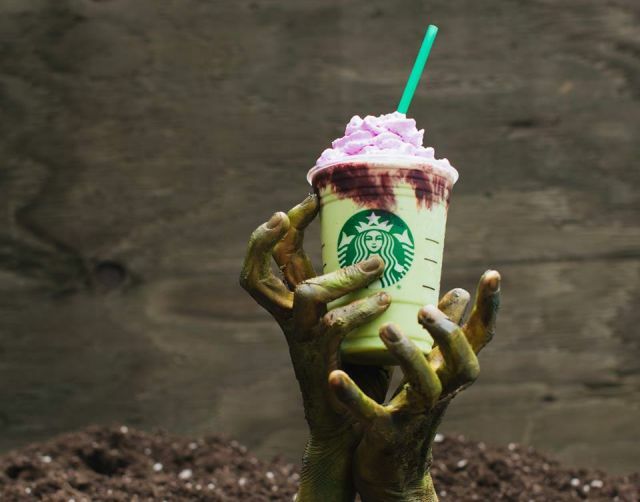 Starbucks preps for Halloween with the debut of the new, limited-time Zombie Frappuccino. 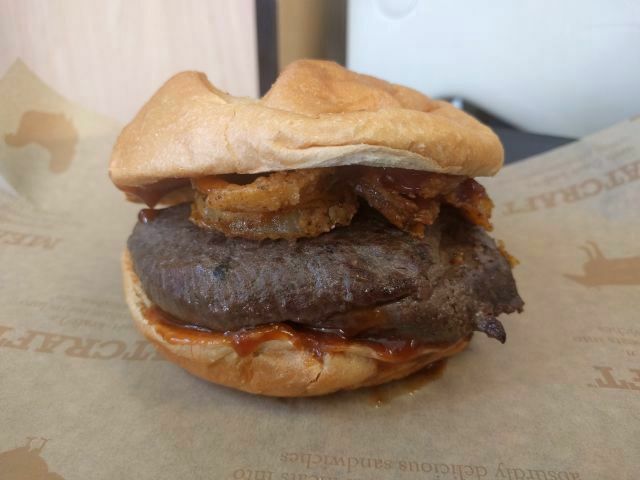 Jack in the Box's Havarti & Grilled Onion Ribeye Burger features a grilled ground ribeye beef patty, Havarti cheese, grilled onions, tomato, mayo, and a red wine glaze sauce on a toasted artisan potato bun. New Sriracha Pretzels and Pretzel Nuggets can now be found at Auntie Anne's locations nationwide for a limited time. 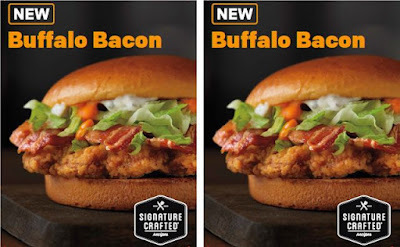 Burger King adds to the top end of their burger line up with the introduction of their latest "King" burger: the new Farmhouse King. 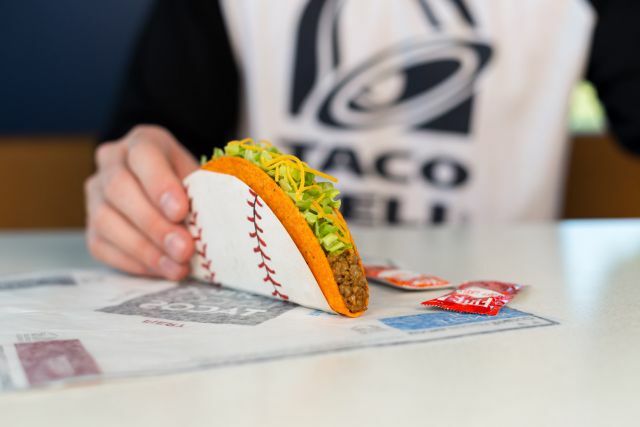 Taco Bell will be handing out free Doritos Locos Tacos on November 1, 2017, from 2 to 6 PM, due to a Major League Baseball World Series promotion. 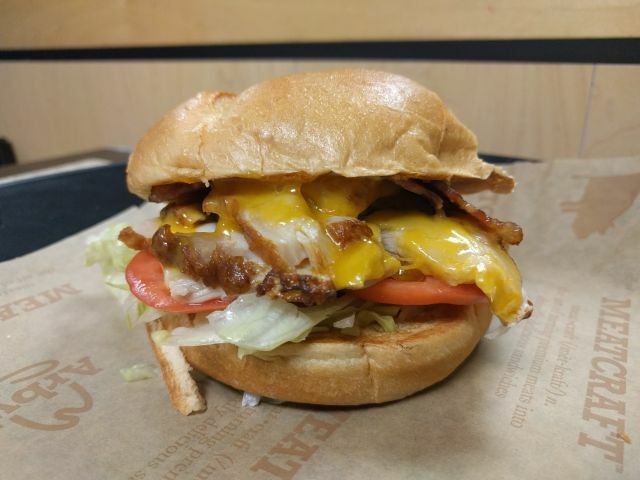 Arby's Deep Fried Turkey Club features thick-cut deep-fried turkey breast, pepper bacon, cheddar cheese, tomatoes, iceberg lettuce, and mayo on a toasted star-cut bun. 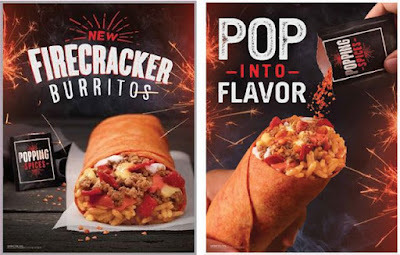 Taco Bell is marketing testing new Firecracker Burritos, featuring spicy popping candy, for a limited time in the Toledo, OH area. An annual tradition, Chipotle will once again be offering a "Boorito" for $3 to costumed customers on Halloween, Tuesday, October 31, 2017, from 3 PM to close, at all locations. 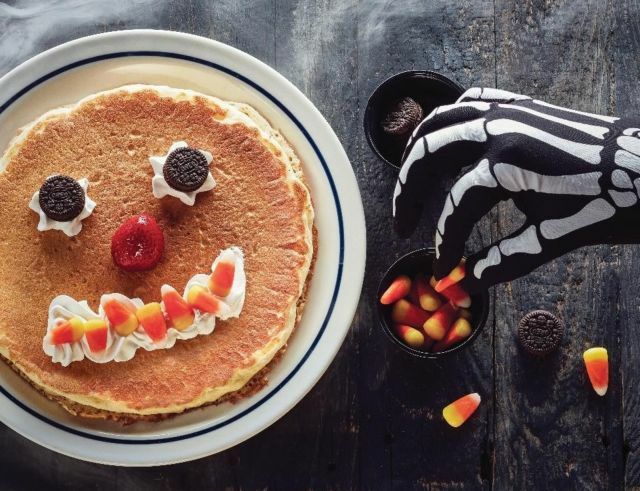 IHOP will once again be celebrating Halloween by offering free Scary Face Pancakes to kids 12 years and under. Panera Bread's fall menu for 2017 includes the annual return of pumpkin pie bagels and pumpkin spice lattes but also brings back a number of seasonal menu items. 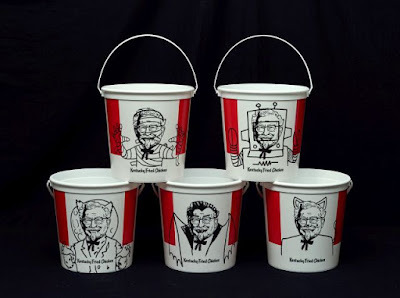 KFC's Twitter Only Follows 11 "Herbs" and "Spices"
In a clever marketing move, KFC's Twitter account only follows 11 people. 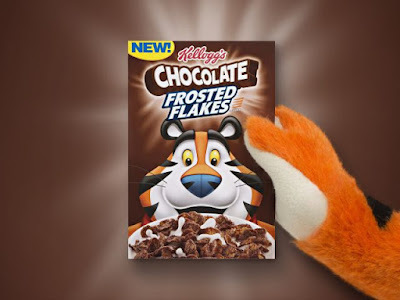 Specifically, it follows six men named "Herb" and all five members of the Spice Girls (i.e. 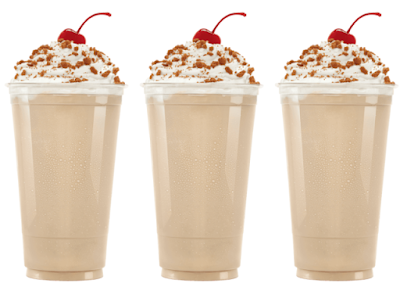 five "spices"). P.F. 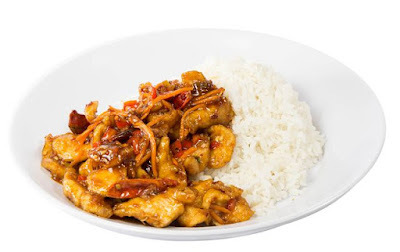 Chang's will be giving out a free Spicy Tuna Roll or California Roll per dine-in guest on Thursday, October 26, 2017 at participating locations. 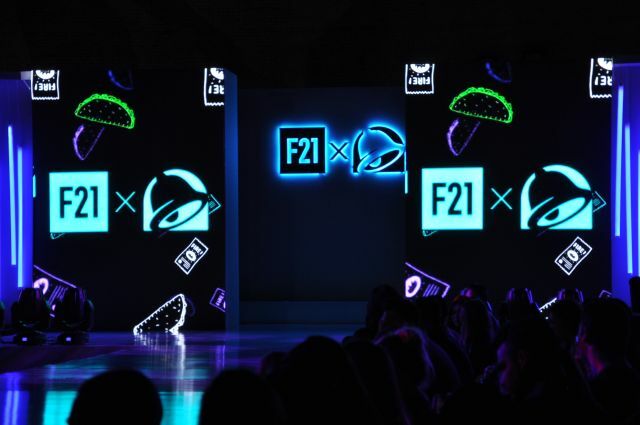 Here's a photo gallery from the Forever 21 x Taco Bell fashion show that took place on October 10, 2017 in the Fashion District in Downtown Los Angeles. 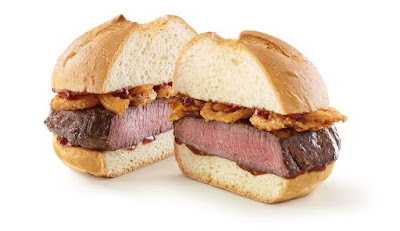 Arby's Venison Sandwich features a thick-cut venison steak topped with crispy onion strings and juniper berry sauce on a toasted star-top bun. 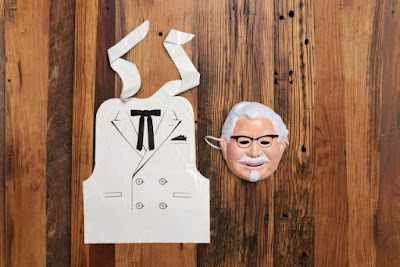 With ten days until Halloween, KFC's new Halloween Harland costume, which lets you dress up as the chain's founder Colonel Harland Sanders, is already sold out. 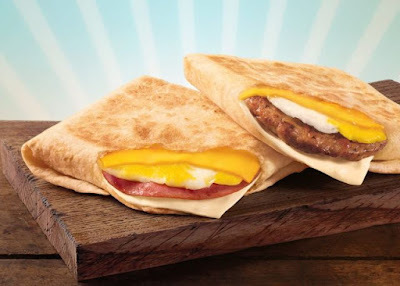 Cole's Middles are frozen stuffed bread bites that come in six varieties including: Plain Bread stuffed with 5 Cheese, Plain Bread stuffed with Mac and Cheese, Plain Bread stuffed with Plain Cream Cheese, French Toast Bagel stuffed with Sweet Cream Cheese, Everything Bagel stuffed with Plain Cream Cheese, and Pretzel Bread stuffed with Beer Cheese. 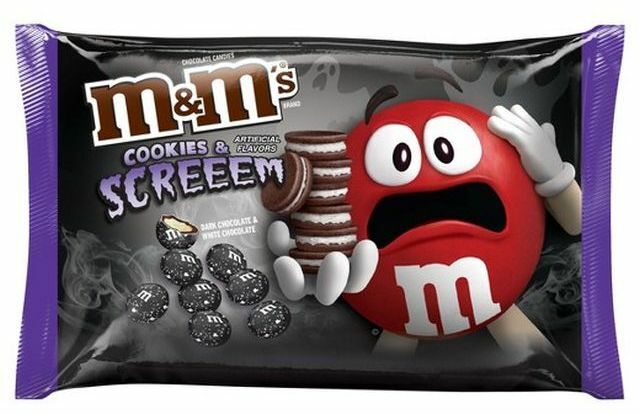 Like Walmart, Target also gets a number of exclusive Halloween candies each year. This year's selection includes Cookies & Screeem M&M's. 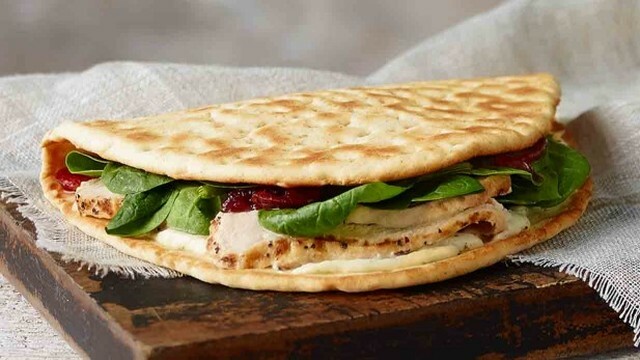 Thomas' brand goes with a number of limited-time pumpkin and cranberry versions of their signature breads for fall 2017. 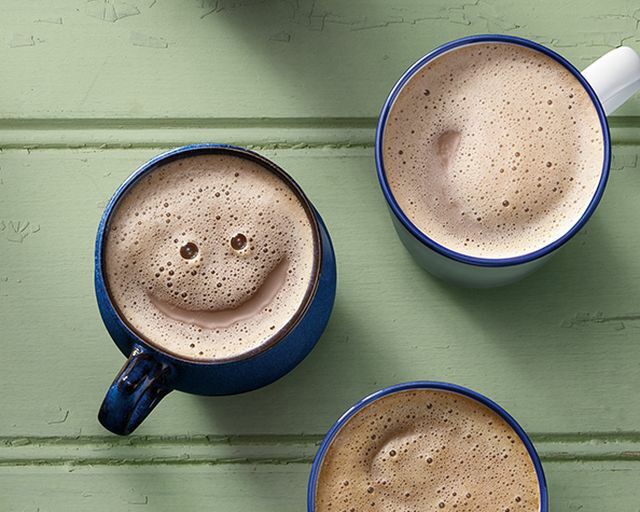 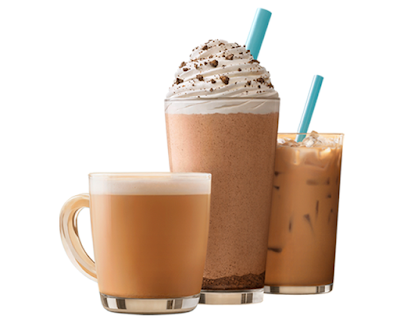 The flavor of Almond Joy makes a return to the Dunkin' Donuts menu in time for Halloween with the arrival of the new Almond Joy Hot Chocolate and Frozen Almond Joy Hot Chocolate. 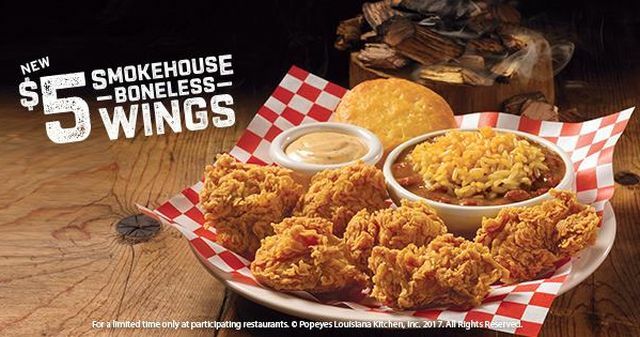 Popeyes is running a deal where you can get either 10 pieces of fried chicken or 10 fried chicken tenders for $10 at participating locations through October 29, 2017. 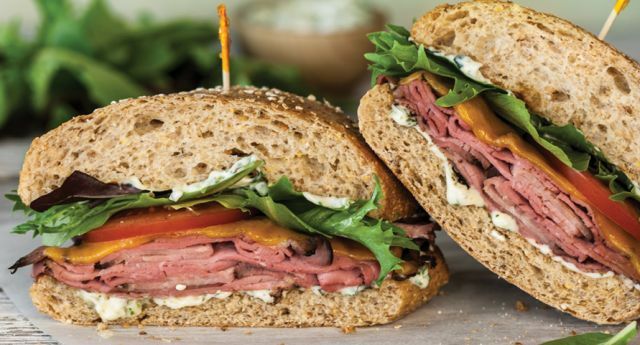 Welcoming the fall, McAlister's Deli debuts two new, limited-time items for the season: the Garlic Herb Roast Beef Sandwich and Salted Caramel Cookies. Pei Wei offers their own take on Chinese-American dish General Tso's Chicken and discounts it to $5 for a limited time (compared to $7 to $10 for other chicken dishes). If you've been missing Twix White, which are Twix bars covered in white chocolate, you'll be pleased to they're slated to return permanently starting this November. 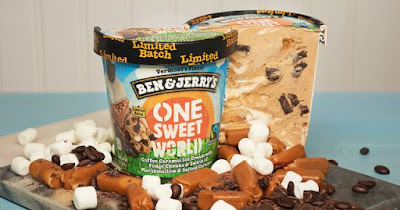 Ben & Jerry's adds new One Sweet World ice cream as their latest limited-time flavor. 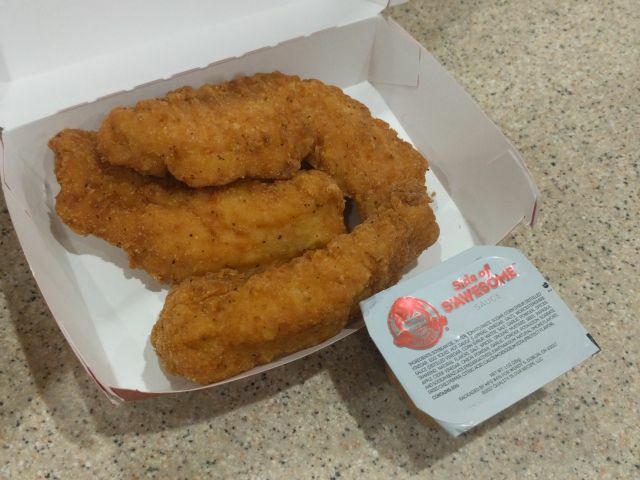 Wendy's Chicken Tenders feature seasoned, lightly-breaded, and deep-fried strips of chicken breast. 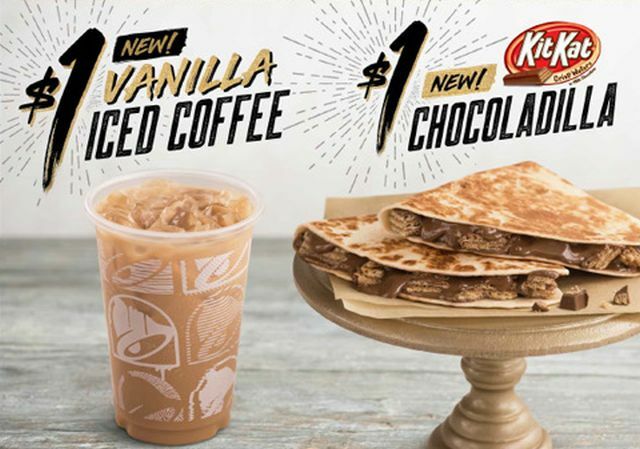 Taco Bell is testing a new Kit Kat-filled quesadilla called the "Kit Kat Chocoladilla" at select locations in Wisconsin. 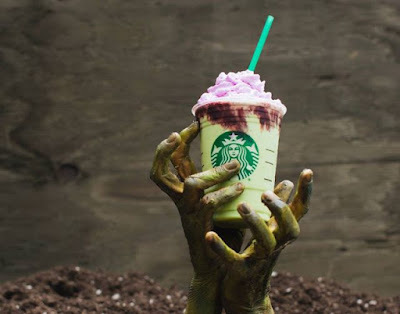 They're also testing new Vanilla Iced Coffee in the same area. 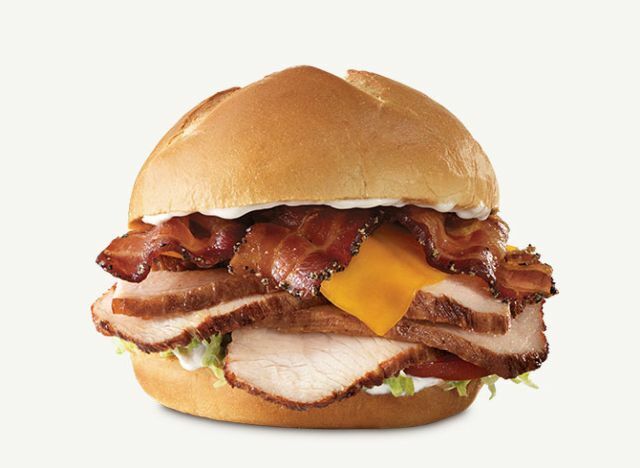 With Thanksgiving on its way, Arby's introduces a trio of new deep-fried turkey sandwiches. Hoping to offer a slight twist on the standard roast turkey, each sandwich comes with thick-sliced deep-fried turkey breast. Looking to offer a bit of morning value, Jack in the Box releases new $2 Breakfast Pockets. 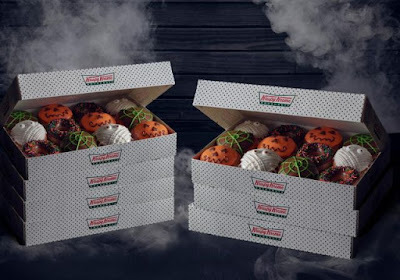 Krispy Kreme is offering four decorative donuts, including the new Mummy Donut, for the 2017 Halloween season at participating locations. Caribou Coffee trots out the new Pumpkin Pie Coffeeless Cooler in addition to the usual line-up of pumpkin-flavored drinks for fall 2017. If you've been hoping to try Arby's Venison Sandwich, you'll get your opportunity when it becomes available nationwide for the first time, but only for just one day, on Saturday, October 21, 2017. 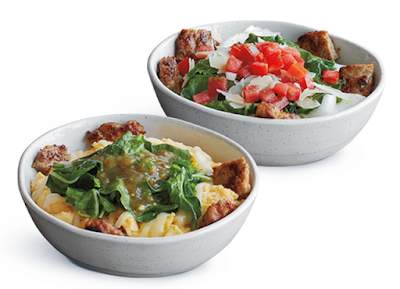 McDonald's tests yet another breakfast bowl here in Southern California with the arrival of the new Turkey Sausage and Tomatillo Scramble Bowl. 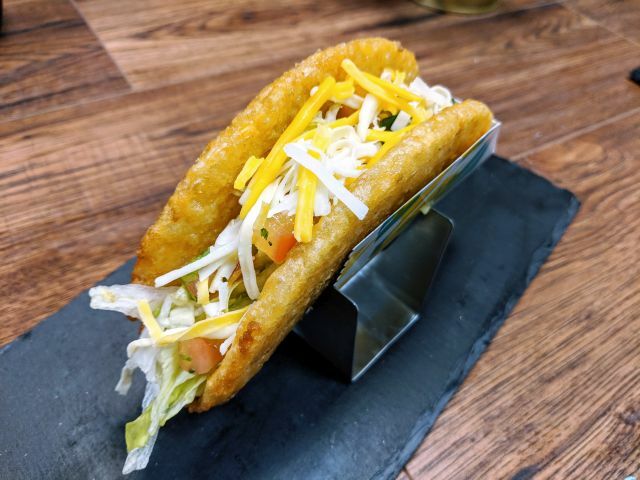 Taco Bell's Crispy Chicken Quesadilla features crispy-fried triangles of seasoned white meat chicken, three-cheese blend, and creamy jalapeno sauce folded and grill-pressed inside a warm flour tortilla. 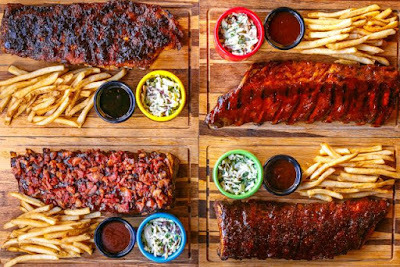 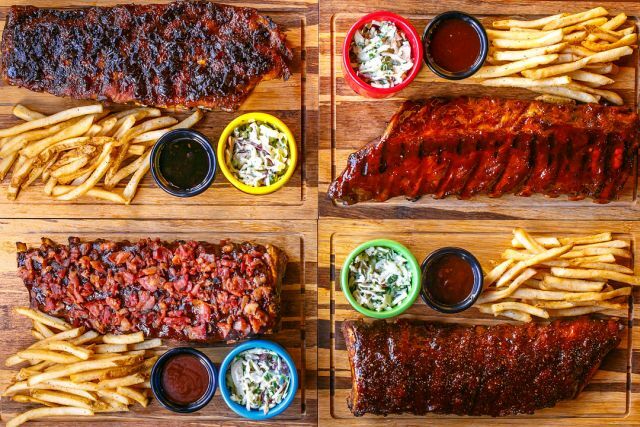 TGI Fridays has gone back to the drawing board for their ribs and come back with new Fridays Big Ribs, which are back ribs that are 30% meatier than their previous baby back ribs (it should be noted that "back ribs" and "baby back ribs" are one and the same).